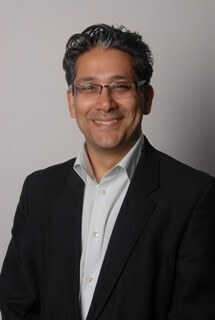 Arun Sahai is a honorary senior lecturer within King’s Health Partners and a consultant urological surgeon in functional urology (bladder dysfunction, incontinence, uro-neurology and urinary tract reconstruction) at Guy’s and St Thomas’. He investigates and manages all aspects of general urology including scrotal surgery, circumcision and benign prostatic enlargement. His specialist work involves management of female and male urinary incontinence, botulinum toxin bladder injections and sacral neuromodulation for refractory overactive bladder and various aspects of ureteric and bladder reconstruction. Arun has over 60 publications in peer-reviewed journals and has contributed to a number of book chapters and presented at numerous international and national meetings. He has been awarded several prizes and grants. His current research interests are related to overactive bladder and bladder dysfunction. He is a keen teacher and is responsible for urology undergraduate education at Guy’s and St Thomas’ and King’s Medical Schools. 1999: Qualified from the United Medical & Dental Schools of Guy’s and St Thomas’. Trained in urology on the South Thames Rotation through the London Deanery. Senior training years in the Department of Urology at Guy’s Hospital, followed by visiting fellowship at UZ Leuven Hospital, Belgium.